It's that time of year again where Halloween is almost upon us! The night's are drawing in, the wind is picking up and the sky has become eerie at dusk. The perfect time for the little ones to get really excited about some Halloween events then. 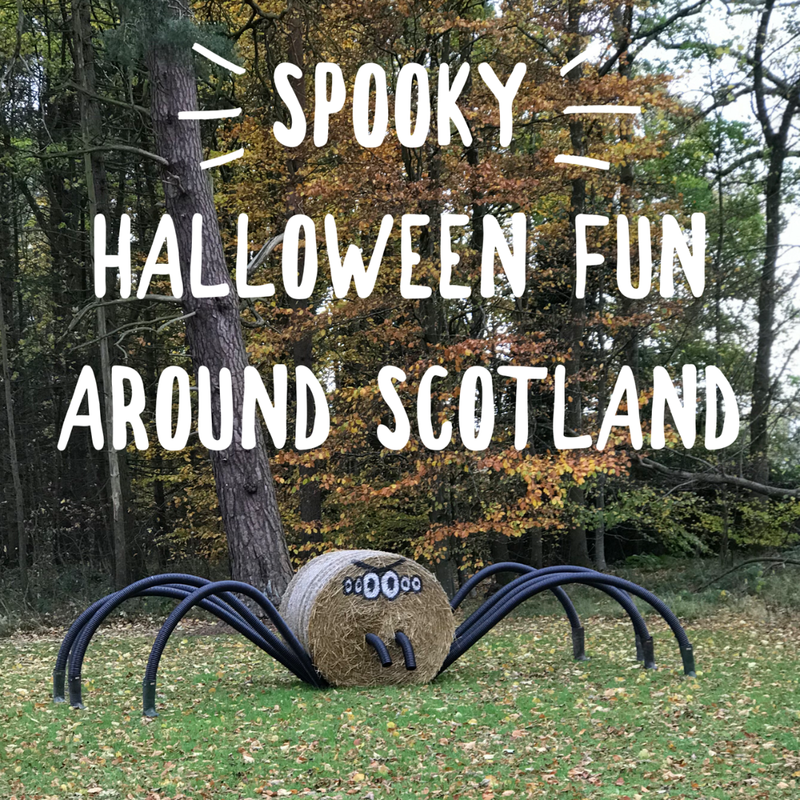 There's absolutely tons of fantastic trick or treat happenings going on around Scotland but I've picked a few of my favourites and ones I definitely think child and adult alike will enjoy. 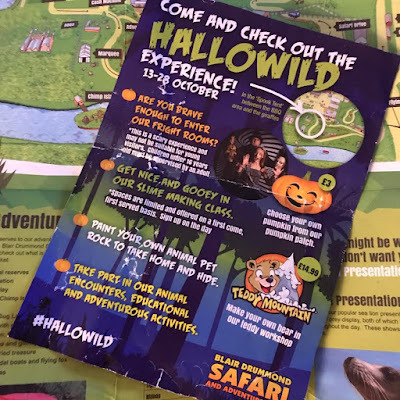 So read on to see some fun places to take the kids this Halloween. We've visited the lovely Almond Valley site in Livingston a few times now and it never gets old. 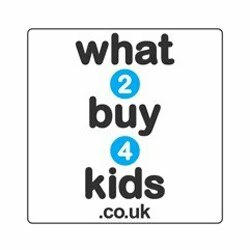 There's so much to see and do here for the kids there'll be no moaning cries of boredom. 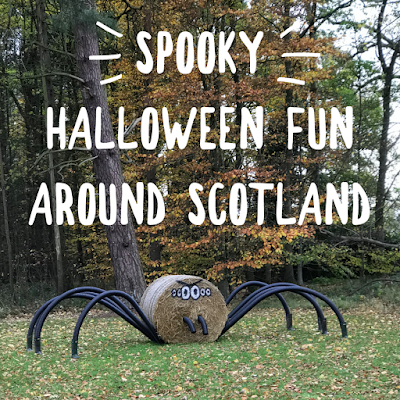 This Halloween they also have a spooky trail for your little monsters to follow through the park. There's a wicked witches coven, a vampires dinner feast and some ghostly sights in the old mill. Grab your trail sheet and look out for the clues on your spooky quest. Find your way through a world of magic and shadows with mysteries to solve, games to play, and some scary surprises around every corner. Get creative in the craft area where you can make spooky masks and manufacture monsters. All of this silly scary fun can be enjoyed any day until Halloween during usual opening hours (10.00-17.00) with no need to book in advance. 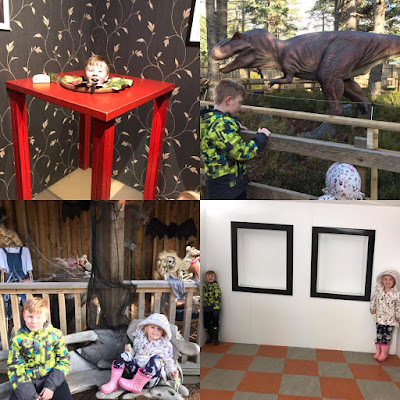 If you're visiting Aviemore for the holidays or happen to be passing by then you've got to pay a visit to the fabulous Landmark Forest Adventure Park. Another top attraction which will have the kids buzzing and tired out from a full day of adventures. There's tons of spooktastic fun, especially some weird unexplained happenings around the Wonderwood. Ghost families, terrifying graves of the undead and a place waiting for you at Dracula's dinner table - you're sure to be in for a treat. As well as the Halloween frights there's the amazing Bamboozeleum full of illusions which my son loves. He made us go round it three times on our recent visit. It really never gets old though. 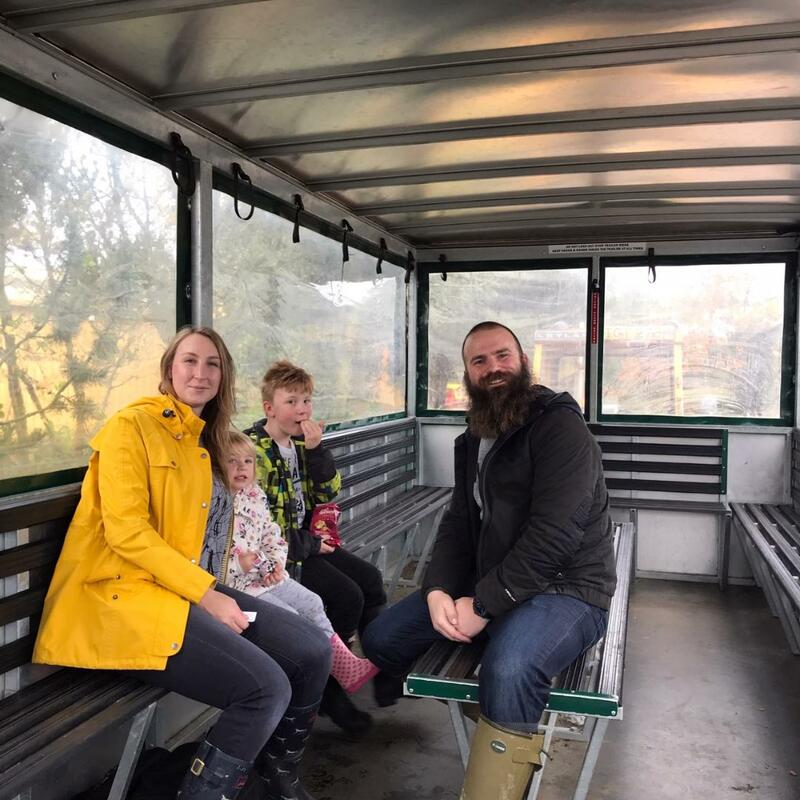 There's also the beautiful Red Squirrel Nature Trail which takes you through the tree tops in the search for these shy quiet creatures. A magnificent Butterfly House full of insects, birds and of course butterflies. 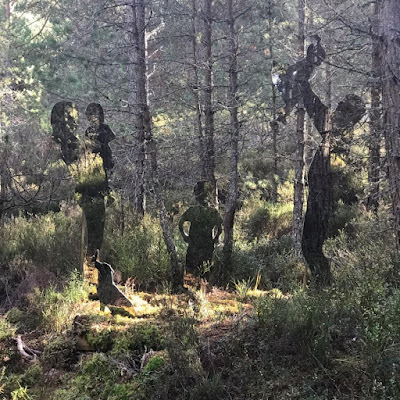 The Forest Tower gives you uninterrupted views of the Cairgorms National Park and it is breathtaking. The Wild Water Coaster with it's three fast water slides are a must! There's plenty of space to fit an adult and two kids in a boat but hang on as it's sure to thrill, you may even let out a little scream of delight. 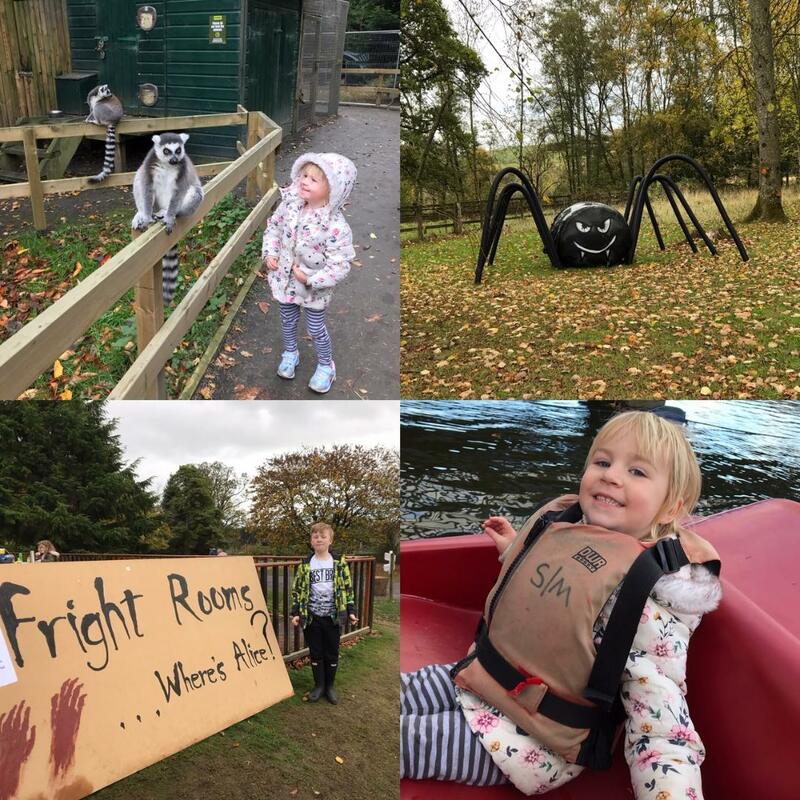 There's so much more to see and do in the park with tons of children's play areas, a lovely restaurant and a cool labyrinth so definitely go for a visit this Halloween. Stop what you're doing and take note as Blair Drummond Safari Park have a fun packed HALLOWILD event on full of Halloween surprises right up until 28th October. Not only do you get to experience all the amazing animals around the safari but there's some extra spooky fun to be had. Are you brave enough to enter the Fright Rooms!? Logan (with much persuasion) and I did it. It was quite scary but totally set the scene for a frightful Halloween. Why not get nice and gooey in the slime making class? Sign up on the day of your visit and away you go, slimetastic! For those not into the slime life you can paint your own animal pet rock and take it home to hide. Harlow loves doing this so highly recommend for the smaller kids. The safari park also have their very own pumpkin patch where you can choose and take home your own for only £3. And if your kids want to stuff their own bear then visit Teddy Mountain where they can get stuck into the workshop for £14.99 and create their own hugable friend. The experience will last for 15 minutes and the price includes a 16" teddy with a heart, birth certificate and a drawstring bag. Last but not least a trick or treat trail! Follow a trail with a difference on this self-guided tour. 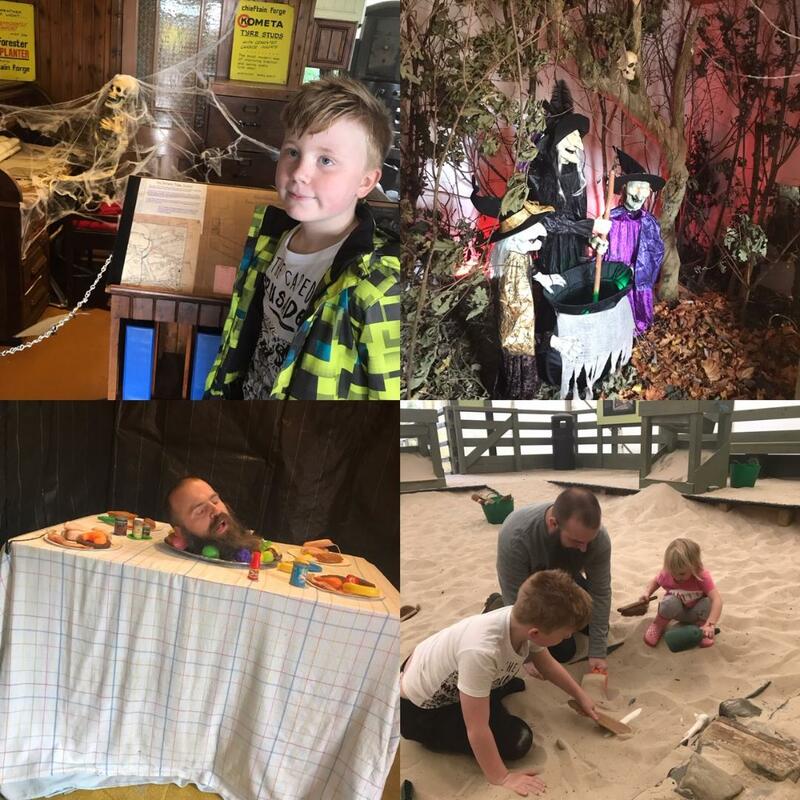 You'll learn which of our animals were thought to be the ghosts of lost souls, find out who's got vampire fangs and have the chance to meet the magical messengers of wizards and witches. This tour is suitable for all ages. So join us for the treats at the end… and lots of tricks along the way! So there you go, some of my favourite spooky events for kids this Halloween. Before to get your tickets soon and join in the ghoulish fun.